Earlier this month in Washington DC, the French-American Cultural Foundation organized a fundraising gala and a Bordeaux winetasting, on the occasion of its 15th anniversary. 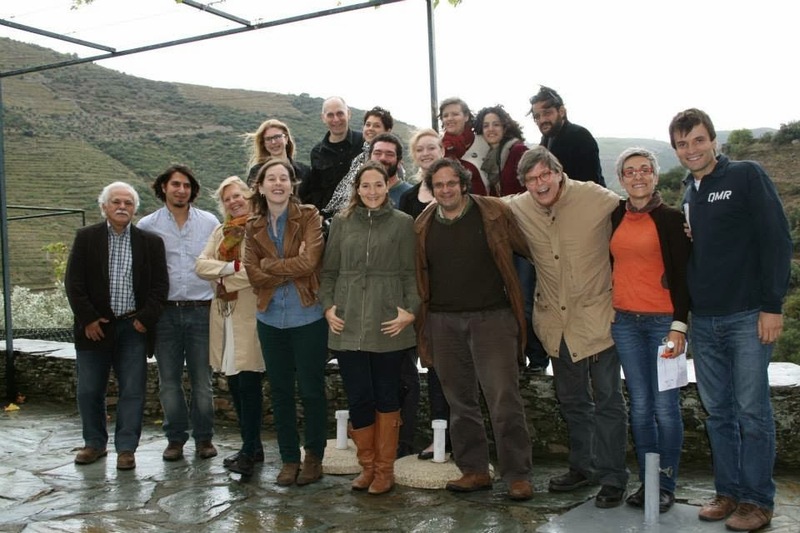 The French-American Cultural Foundation is a nonprofit organization that fosters cultural and educational exchanges between France and the United States. His Excellency, François Delattre, Ambassador of France to the United States, presided over the gala. On the day after the fundraising gala, Constance Milstein, owner of The Jefferson Hotel in Washington DC and a member of the gala committee, opened her lovely salons to gala guests, some wine professionals, diplomats from the French Embassy and some members of the Congressional French Caucus for a special tasting of wines from the 1855 Bordeaux Classification. I was graciously invited by Karen Taylor, the editor of France Magazine, whom I met earlier in the year at a dinner with Henri Lurton of Chateau Brane-Cantenac. Philippe Castéja was the star of the tasting. He wears several hats. He is the President of the Conseil des Grands Crus Classés en 1855. He is the Managing Director of Borie – Manoux, a négociant house since 1882 and one of the last to be family owned and run independently in Bordeaux. He is the owner and/or CEO of a number of Bordeaux chateaux both on the left and right bank. He is the President of French association of wine and spirit exporters (FEVS). Around ten years ago, he was also president of the Bordeaux Wine Council (CIVB). Another branch of the family owns the wine merchants Joanne and Chateau Doisy Vedrines in Sauternes, and the Castejas been involved in wine in the region for several centuries. Philippe Casteja owns or manages: Chateau Batailley, Pauillac, Chateau Beau Site, St Estephe Cru Bourgeois, Chateau Trotte Vielle, St Emilion 1ere Grand Cru Classé, Chateau Bergat, St Emilion Grand Cru Classé, Chateau Domaine de L’Eglise, Pomerol, Chateau Pignon Lalande, Pomerol, Chateau Lynch Moussas, Pauillac, Chateau Haut Bages Monpelou, Pauillac, Chateau Baret, Pessac Leognan (manages), Chateau La Croix Ducasse, Pomerol (manages), plus brands: Cuvee Borie, Beauroy, Beau Rivage, Port Royal, Chevalier de Lynch. Berry Bros’ Good Ordinary Claret is made by Borie Manoux. Bérénice Lurton, who owns and manages Chateau Climens, was pouring the noble-sweet Bordeaux wines, including her own. Château Climens was first mentioned in 1547. Since then only five families called Climens their home, with the Lurton family being the last owner when Lucien Lurton bought the estate in 1971. In 1992 Bérénice Lurton, Lucien Lurton’s youngest daughter took over the reins at Château Climens. The estate sits on the highest point in the Barsac appellation and is surrounded by 75 acres of vineyard. The vineyard is entirely planted with Semillion - unusual for a Sauterne – which gives the Climens wines its racy complexity and freshness. Work in the vineyard is based on biodynamic principles and in 2011 Château Climens received the biodyvin certification. A tour and tasting at Château Climens, Appellation Barsac-Sauterne, Premier Grand Cru Classé, was one of the highlights of the 2013 Bordeaux Tour by ombiasy PR and WineTours. David Ludovic is the Director General of Château Marquis de Terme, a 4th growth in the 1855 classification. Pierre-Louis and Philippe Sénéclauze own the estate that their father, a wine barrel merchant in Algeria, bought in 1935. During the Algerian war, the Sénéclauzes settled in Marseille and built up a wine empire in France, hiring Bordeaux specialists to run their Margaux property. Picture: Christian G.E. Schiller and David Ludovic, Director General of Château Marquis de Terme, a 4th growth in the 1855 classification. Château Marquis de Terme was once part of the vast Rauzan estate owned by Pierre de Mesures de Rauzan in the mid-17th century. Over time, this estate was divided, and by the time of the 1855 Classification, had been separated into the estates of Château Rauzan-Gassies, Château Rauzan-Ségla, Château Desmirail, and Château Marquis de Terme. The vineyard at Marquis de Terme is 100 acres in size and is made up mostly of gravel-soil over clay. The vines average 30 years and are made up of 55% Cabernet Sauvignon,35% Merlot,7% Petit Verdot and 3% Cabernet Franc. Production is 180,000 bottles. The average wine searcher price for the 2011 vintage is US$ 40. Before joining Marquis de Terme in 2009, David Ludovic worked for 9 years at Chateau Bonalgue/Clos du Clocher in Pomerol and for 5 years as Technical Director with Bernard Magrez. Last but not least, Aaron Nix-Gomez was among the wine bloggers that were invited and he has already issued his excellent tasting notes, which I am re-issuing below. Aaron Nix-Gomez: “Please find my brief tasting notes arranged in the order presented by the tasting sheet. The wines classified by Jefferson in 1787 are marked with a star. I was particularly taken by the 2009 Chateau Pichon Longueville Comtesse de Lalande, 2000 Chateau Montrose, 1990 Chateau Boyd Cantenac, and 2005 Chateau Climens. The nose bore mature aromas and wood box. In the mouth were mature but surprisingly ripe berries which expanded in the mouth. There was lots of berry grip towards the finish which was followed by a good aftertaste. The juicy acidity mixed well with black minerals in the finish and an earthy note. Drinking well now with plenty of life ahead. In the mouth the flavors began with a vanilla note, toast, and a round personality. It maintained concentration with smokey graphite, flavors, and strong, drying, citric, tannins in the finish. There was a good, rich nose of cherries, red berries. In the mouth was round red fruit, minerally acidity, then black fruit with some weight. There were some greenhouse tannins, integrated acidity, and blacker fruit in the finish. The wine left some tannins on the teeth which were a little spicy. Drinking well. There was an earthy, berry nose with hints of maturity. There was bright acidity, vigor, and a wood note. Will age. This wine played it close at first with a hint of salivating acidity. It showed more structure, drying flavors, and will clearly last for some time. There was a grapey nose which finished with earthy aromas. In the mouth was concentrated red fruit followed by black fruit and drying tannins. The finish was firmer. There was a slightly earthy nose with aromas of blue berries. In the mouth were red and black fruit with the acidity and tannins building into a firm structure of ripe tannins. The nose had hints of maturity. In the mouth the wine was more austere before building in flavor to reveal hard red fruit. The round nose was perfumed and young. There was young red fruit in the mouth, tart acidity, and gentle integration with the very fine, ripe tannins persisting through the perfumed aftertaste. Built for long development. There was cassis on the nose followed by tart, red fruit in the mouth. The drying structure and acidity was present but the wine is very young with graphite and black fruit in the finish. It was a little spicy. There was a classic nose with a mature aspect. In the mouth there were fresh flavors, ripeness, expansion, and a controlled, classic structure for further development. Nice but will continue development. There was higher toned flavors followed by honied, yellow fruit which builds to add moderate spice. There was a rich, creamy, apricot aftertaste. The wine has underlying acidity. The nose was nutty with the flavors in the mouth evocative of a mature Bordeaux. There were spices, creme brulee, and a cola hint. The acidity was noticeable on the sides of the tongue. The aftertaste was spicy. There was a good, complex nose. The mouth followed the nose with balance, a glycerine mouth feel, acidity, and complex spices. The yellow fruit mixed with frangipane. The flavors were big and mouthfilling. Hard to resist now but it has a long future ahead. The nose revealed marmalade and peach aromas. In the mouth there was rich weight to the yellow fruit. There was a hint of spices, underlying acidity, and a honied, sticky aftertaste. Tastes like a lot of residual sugar. The nose was light with more white than yellow fruit aromas. In the mouth the wine was heavier and much thicker than the nose suggested. There were yellow fruit flavors, brighter acidity towards the end, and a little salivating aspect in the aftertaste. Martin Zwick, the wine blogger from Berlin, is rapidly building up a reputation as being a mover and shaker in the German wine scene. This is due to the various Berlin Cups that he is organizing. It all started with the BerlinRieslingCup a few years ago, a blindtasting and ranking in November of what Martin Ziwck considered the leading Grosses Gewaechs wines - the ultra-premium dry wines of the VDP producers, Germany’s elite wine makers - that were released on September 1 of the same year. 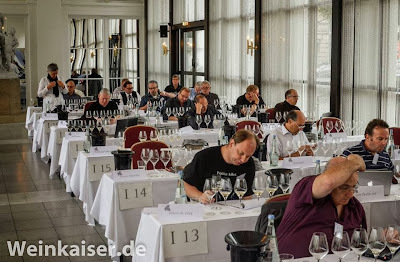 Initially, people did not pay much attention to the BerlinRieslingCup, but this has clearly changed over the years. This year’s flights were put together by David Schildknecht and tasted and rated a few weeks ago by a group of experts. I will report about the results in due course. But the BerlinCup is no longer just about Grosses Gewaechs wines, Martin has added a (1) BerlinGutsweinCup – ranking entry level wines, a (2) BerlinKabinettCup – ranking lightly sweet wines at the Kabinett level and recently for the first time a (3) BerlinSpaetburgunderCup – ranking German Pinot Noir wines. The BerlinSpaetburgunderCup 2011/2013 took place in 2013, tasted and ranked were wines from mostly 2011, but also some from 2010 and 2009. Master of Wine Caro Maurer from Bonn put together the flights. 34 wines were in the competition. A group of sommeliers, wine retailers, wine bloggers, wine marketing people and Pinot Noir lovers tasted and ranked 34 wines. Und als special guest die Winzerin Melanie Bickel-Stumpf. These were all ultra-premium wines, but not only VDP.Grosses Gewaechs wines. 5. 2011 Stadt Klingenberg-B. Baltes "Schlossberg"
6. 2011 F. Becker "St. Paul"
21. 2010 R&C Schneider "Engelsberg"
24. 2011 Dr Heger "Schlossberg"
25. 2011 Chat Sauvage "Kapellenberg"
Germany’s 2012 VDP.Grosse Gewaechs – Grand Cru - white wines were released on September 1, 2013. These are the ultra-premium dry wines from the very best vineyard sites made by some of the best producers in Germany. 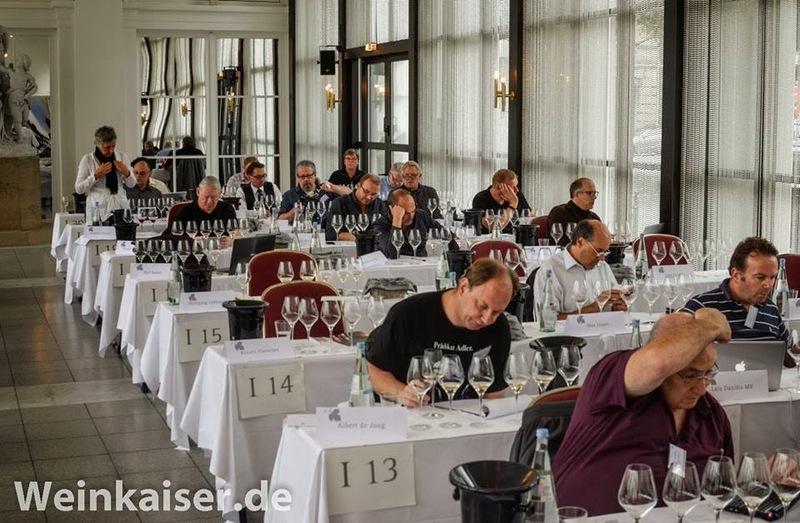 At this annual occasion, a number of presentations by the VDP – the association of German elite winemakers - take place in Germany, including one in Berlin during the first days of September and one later in the month in Frankfurt am Main. One presentation that clearly stands out is the pre-release tasting for a group of about 120 wine journalists, sommeliers, retailers, importers, etc from all over the world, but mainly from Germany, in the old Kurhaus in the stately German spa town of Wiesbaden, which is 45 minutes drive from Frankfurt. It is a seated, very well organized tasting where you have the chance to go through the VDP Grosses Gewaechs wines during 2 days. The invitations for this event are highly sought after. This year, I was happy to get again invited by the VDP and to participate in the event. 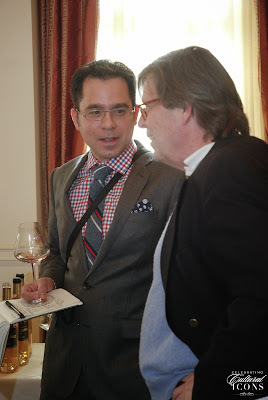 Others I saw at the event were US wine importer Rudi Wiest, Gault Millau WeinGuide Deutschland editor Joel B. Payne, winemaker, blogger and internet-TV star Dirk Wuertz and Riesling guru and wine journalist Stuart Pigott. 420 Grosse Gewächse wines were poured. Notable absentees were Weingut Leitz, Weingut Breuer (as Weingut Breuer is no longer member of the VDP) and Weingut Peter Jakob Kuehn (Peter Jakob feels that late August is still too early to present his Grosse Gewaechs wines). What is a VDP.Grosses Gewaechs wine? There is currently a bit of confusion (and there will be even more confusion in the years to come) as (1) Grosses Gewaechs was a term that was created by the VDP only a few years ago and (2) the VDP has created a new classification for German wines that differs radically from the German standard classification (and is still in the process of refining and implementing it). The latest revisions were those that came into effect with the vintage 2012. In a nutshell, the VDP is moving to a classification system that resembles very much the classification system in the Bourgogne. The classification of the VDP puts the terroir principle at the center of its classification approach. To qualify for the Grosses Gewaechs label, a number of criteria need to be respected. (i) The fruit has to come from a Grosse Lage (for the 2011 vintage still called Erste Lage) vineyard. (ii) At harvest, the grapes need to be at least at Spaetlese level in terms of the sugar content. (iii) Only certain – typical - grape varieties are allowed, including Riesling and Spaetburgunder. Riesling is the only varietal allowed for Grosse Lage wines in the Mosel, Nahe, and Mittelrhein, but grapes like Spaetburgunder (Pinot Noir), Lemberger, Fruehburgunder, Weissburgunder (Pinot Blanc), Grauburgunder (Pinot Gris), Gewuerztraminer, and Silvaner are included in other regions. (iv) Further restrictions apply: there are yield restrictions; only hand picking of grapes is permitted and harvest must be late in the autumn. This is what we had in the glass in Wiesbaden: White Grosses Gewaechs wines from 2012 and red Grosses Gewaechs wines from 2011 as well as a few white Grosse Lage wines that exceeded the sweetness limit of Grosses Gewaechs wines just a bit, but were still presented. The tasting covers most of the winegrowing regions in Germany, and not just Riesling. GG status has been approved for Silvaner, Weissburgunder (Pinot Blanc), Grauburgunder (Pinot Gris), Spätburgunder (Pinot Noir), and Lemberger, plus even a Chardonnay was included this year. But the majority of the wines are, of course, Riesling wines, and each region’s wines are grouped together for comparison. The tasting list started with 20 Silvaner from Franken – wines which I liked very much but which are difficult to find outside of Germany. I liked in particular the wines of Wirsching from Iphofen, the Kronsberg with strong mineral notes and the Julius Echter Berg which was smoother and more approachable at this point. With regard to the first group, although I know that my fellow colleagues at the German Wine Society Board (Washington DC Chapter) all love the fruity sweet wines of Ernst Loosen, Dr. Loosen put on a very strong performance with his ultra premium Grosses Gewaechs wines from Himmelreich, Wuerzgarten, Praelat, Sonnenuhr and Treppchen. In particular the 2012 Praelat is a sensational wine. Treppchen is more withdrawn. The Graacher Himmelreich shows a lot of tropical notes. I would also like to mention the impressive Marienburg collection of Clemens Busch, the non-conventional winemaker from Puenderich. Clemens Busch shows year after year what is possible in the Mosel Valley, following biodynamic practices. The Grosses Gewaechs from the Marienburg "Rothenpfad" vineyard is a very elegant and pure wine. 1 wine – the Edelacker of Weingut Pawis is a wine that I always like: clear, juicy and animating – good. 56 wines, up from 42 wines last year. There was again a lot of – in my view undeserved – Rheingau bashing, as in previous years. Clearly, the Rheingau winemakers are not the darlings of the wine writers currently. Sommelier Jan Wilhelm Burmann went as far as saying that the Rheingau has reached a new low point. I strongly disagree with Jan Wilhelm. Kuenstler, for example, presented wines from Ruedesheim (Berg Rottland and Berg Schlossberg), Hochheim (Hoelle and Kirchenstueck) and Kostheim (Weiss Erd) and all 5 of them were in the top league, as far as I am concerned. As expected, the Graefenberg of world class producer Robert Weil was an Ambassador for German Riesling, a wine very popular among wine connesseurs around the world. There was less talk this year about the wines of Balthasar Ress, but all agreed that wine blogger and wine maker Dirk Wuertz continues to lead Weingut Balthasar Ress to new hights. Another name that came up in this connection was Theresa Breuer, Weingut Breuer, who did not present her wines, as Weingut Breuer is not a member of the VDP. Few people had Desiree Eser, Weingut August Eser (who sells predominantly in the domestic market), on their list, but I think she is a young, promising winemaker. Her Siegelsberg showed fine herbal notes. Another producer that sells predominatly on the domestic market and that is someboday to watch is Weingut Jakob Jung. Alexander Jung presented 2 wines, the Siegelsberg and the Hohenrein, both steely, with a vibrant acidity. Mark Barth is also one of the “Jungen Wilden”. Weingut Barth had 3 wines in the presentation: Schönhell, Hassel and Wisselbrunnen, all highly interesting wines. The Nonnberg (Wicker) and Königin Victoriaberg (Hochheim) of Joachim Flick were the only FairChoice certified wines at the tasting, combining excellence and sustainability. The Rheingau is also experimenting with wood. Weingut Allendorf presented with the Winkeler Hasensprung an excellent example of how it should be done. In Erbach, von Oetinger showed 3 wines that were extremely good. In particular, Siegelsberg showed good fruit intensity and a round character, supported by good acidity. 23 wines, down from 26 wines last year. There were just 4 flights of Nahe Rieslings this year, but it goes without saying that there were a lot of excellent wines on hand. For many I talked to, the Nahe and the Pfalz were battling for the top position in this tasting. In the Nahe region, the leading trio is Dönnhoff/Emrich-Schönleber/Schäfer-Fröhlich. Close behind is Caroline Diel, Schlossgut Diel; I was also very much impressed by the 2 wines Georg Rumpf, Weingut Kruger-Rumpf, presented. Schäfer-Fröhlich presented 6 wines. All of these were excellent and had a distinct “sponti” scent on the nose. Clearly, 2012 was a spectacular year for Tim Fröhlich. In a rather different style, the wines from Dönnhoff were also excellent: More pure fruit and no sponti aromas. Doennhoff offered 3 wines – Dellchen, Hermannshöhle and Felsenberg, with the latter showing a superb balance of fruit and acid with some minerality and a very long finish. Schlossgut Diel showed 3 excellent wines, all from Dorsheim - Pittermännchen, Goldloch and Burgberg. My personal favorite was Goldloch, with vibrant acidity and a long finish. Kruger-Rumpf is generally viewed as a second tier top producer in the Nahe, but I must say, the Pittersberg was an impressive wine: Fresh acidity, fruity and elegant, quite lively, good length. Georg Rumpf is clearly somebaod to watch. 32 wines, up from 26 wines last year. Keller and Wittmann are the acknowledged leaders, widely regarded as among the greatest producers of dry Rieslings Germany, and their wines did not disappoint in 2012. Close behind the leading duo is H.O. Spanier with his Battenfeld-Spanier and Kuehling-Gillot wines. Gunderloch also showed excellent wines. Keller only showed two of his numerous GG and high-end dry wines this year. No Kirchspiel, Morstein, Absterde or G-Max, but the two wines he did show – Hubacker and Pettenthal - were outstanding. As to the latter, for the first time this year he presented a wine from the “Roter Hang”, which showed a touch of sponti on the nose, but also great depth and minerality. The other big name in Rheinhessen is Wittman, the 2014 Gault Millau Winemaker of the Year. Interestingly, Philip Wittmann was awarded the winemaker of the year title, but was not promoted to the top group of 5 grapes winemakers. Wittmann showed 4 wines, all from Westhofen, and many considered these 4 wines as the stars of the event: Aulerde, Kirchspiel, Brunnenhäuschen and, last but not least, Morstein. There is no need to introduce the wines of H.O. Spanier. Perhaps not yet so well known is the fact that he is responsible for the wines of both Battenfeld-Spanier (his estate) and for Kuehling Gillot (the estate of his wife Caroline Spanier Gillot). There was general agreement among the various tasters I talked to during the breaks that H.O. Spanier is closely behind Wittmann and Keller. Flight 33 – Morstein (Wittmann), Hubacker (Keller), Am Schwarzen Herrgott, Frauenberg, Kirchenstueck (all Battenfeld-Spanier) - was arguably the strongest flight of the tasting. 60 Rieslings, up from 53 last year. With 11 flights, the Pfalz showed that it is one of the largest and most important producers of GG Rieslings. While all the regions have a number of vineyards with perhaps two or three Grosses Gewaechs producers, there were several flights in the Pfalz tasting with 6 or 5 wines from the same vineryard and different producers, including Pechstein, Jesuitengarten, Kirchenstueck and Ungeheuer. Von Buhl is going through some difficult times, but the 5 GG wines von Buhl presented showed all very well. The Pechstein was fruity, elegant, with a lively palate and long. While the focus of the wines from Baden was red wines, Baden also presented 14 Riesling wines, up from 6 last year. Again, another German wine region that is not known for its Rieslings. I must admit I almost never drink Rieslings from Wuerttemberg. 14 wines, up from 12 last year. Ernst Dautel’s “Gruebenstein” Sonnenberg was my favorite. Pinot Noir Précoce is a form or mutation of Pinot Noir which differs essentially by ripening earlier than normal (thus the use of the descriptive nomination 'précoce'). All the red wines were 2011. 14 wines, up from 2 wines last year. My favorites were the 3 wines of Meyer-Naekel: Sonnenberg, Kraeuterberg and Pfarrwingert. The Sonnenberg had a long, tarry finish. 6 wines, up from 3 last year: Kuenstler (2), Georg Mueller Stiftung, August Kesseler (2), Fritz Allendorf. 4 wines. Was not represented a year ago. 13 wines, unchanged from last year. My favorites: Idig A. Christmann, Kammerberg, Friedrich Becker and the 3 Knipser wines: Kirschgarten, Mandelpfad, Burgweg. 5 wines, up from 4 last year. 12 wines, down from 19 wines last year. My favorites: the 3 wines of Bernhard Huber – Bienenberg, Schlossberg, Sommerhalde – and the 2 wines of Dr. Heger – Schlossberg, Winklerberg “Haeuslerboden”. 10 wines, down from 11 last year. 6 wines, down from 13 wines last year. 5 of these wines came from van Volxem and 1 wine from Forstmeister Geltz-Zilliken. This was an amazing tour. Starting in Porto, we travelled up the Douro Valley and into Spain. We spent 2 nights in Porto, 1 night in the Vinho Verde region and 1 night in the Upper Douro Valley, close to the Spanish border. We enjoyed 4 very special winemaker dinners and 3 outstanding tastings in Portugal. Portugal is a wine producer with a long history that is well known for its Port wines and the Mateus label. With 250.000 hectares of vineyard area, it is the 7th largest wine producer in the world, compared with the US with 400.000 hectares. Portugal possesses a large number of native varietals, many of them little known in the rest of the world. Vinho Verde, in the northwestern corner of the country, where we spent one night, is the only region of Portugal where white wine dominates. Douro is the region where port wine is produced, but increasingly also (non-fortified) table wine. Continuing south of the Duoro into north-central Portugal is the Dao region, known for big, full bodied reds. In the terms of classification, wines from the top regions are labeled D.O.C. (Denominação de Origem Controlada). Below that are the categories of Indicação de Proveniência Regulamentada (IPR, Indication of Regulated Provenance), regional wine - Vinho Regional Carries and table wines - Vinho de Mesa. Port, Sherry and Madeira are fortified wines produced in Portugal and Spain. Sherry, produced in southern Spain, can either be sweet or dry, unlike Port. Port wine is made sweet by adding alcohol to the fermenting must so the fermentation stops and the sugar of the grapes remains in the wine. What you get is a wine with lots of alcohol and remaining sweetness in the wine. Sherry, on the other hand, is made by letting the fermentation go its full way so that a dry wine emerges. Then, alcohol is added to boost the alcohol level. If the winemaker stops there, you get a dry Sherry. If he also adds sterilized juice, you get a sweet Sherry. Thus, Sherry can be sweet or dry, while Port is always sweet. Madeira is a fortified Portuguese wine made in the Madeira Islands, using the port wine approach. Madeira is noted for its unique winemaking process which involves heating the wine up to temperatures as high as 60 °C (140 °F) for an extended period of time. Furthermore, Madeira is deliberately exposed to air, causing it to oxidize. While the Douro region is associated primarily with Port wine production, it produces just as much table wine as it does fortified wine. While table wine has always been produced in the region, for a long time little of it was seen outside the region itself. A few Douro wines made their appearance on the international market from the 1970s, but it was not until the 1990s when a large number of wines made their appearance. Douro is classified as World Heritage Site by UNESCO since 2011. Vinho Verde occupies a large zone of Northern Portugal, between Douro and the Atlantic coast. Its wines are known for its freshness. Annette Schiller and arrived in Porto and walked around in the city. We then took the tram #1 to the beach (Foz Vehla, with its picturesque back streets, designer boutiques and impressive contemporary architecture) and had dinner there. Before going back to the hotel, we had a drink at the Majestic. We did a 3.5 hours food tour through Porto with 6 stops. The guide Andre was an engaging and knowledgeable ambassador for Porto. His high energy tour was great fun. Each stop featured an interesting food experience - from pastries to sandwiches to coffee to wine. Mix in a little history, architecture and great views and photo opportunities and you have a tour that will remain a top highlight of your trip to Portugal. The Port and Douro Wines Institute is an official body belonging to the Ministry of Agriculture and is a key institution in promoting, regulating and controlling the industry. Tour of and tasting at one of the major port wine houses in Portugal. Port is produced exclusively in the Douro Valley. Port’s wine style was 'invented' by the British wine merchants for the British market in the 1600-1700s. They added brandy to the still wine to help preserve it on its trip by sea from Portugal to the British market. Typically, grapes are picked with about 13.5% - 14% potential alcohol and then fermented to about 7%, when brandy is added. This brings the fermentation to a halt, while retaining between 80 to 110 g/l of natural sugar in the wine. Port is divided into different styles, according to different categories: Made from white or from red grapes; aged or not aged; if aged, aged in wood or aged in bottle. Bottle matured Ports spend a relatively short time in the barrel and mature in the bottle for many years. These are the wines that have made Port one of the greatest wines of the world. Wines that have matured in sealed glass bottles, with no exposure to air, have experienced what is known as "reductive" aging. This process leads to the wine losing its color very slowly and produces a wine which is smoother on the palate and less tannic. Barrel matured Ports Wines experience what is known as "oxidative" aging, as the barrels allow some exposure to oxygen. Wood matured Ports are bottled when ready for drinking and are not intended for further ageing. Ruby Port is the basic red Port wine, a blend of several harvests that have been aged in wooden barrels for up to 3 years before being bottled, and ready to drink on release. Tawny Port is a basic blended Port, like Ruby, which is given more ageing in the barrel before being bottled. The extra ageing, which can be anything from 3 to 40 years, causes the wine to take on a red-brown color and develops a dry nutty flavor with raisin overtones. The stated age - usually 10, 20 or 40 years - is always the average age of the different components. The 10 and 20 year wines provide the best value and deliver the mellow elegance and complex fragrant bouquet so prized by port lovers. The Portuguese consider the 20 year Tawny the ultimate expression of the port making art. Vintage Port is the most famous of all Port categories. See below. Late Bottled Vintage (LBV) Port is wine from a single specific harvest, the year being stated on the label, which has been aged in the barrel for between 4 and 6 years. These are high quality ports from a single year that are not quite up to 'Vintage' standards. The best are not filtered and are capable of aging. Single Quinta Port is Port made from a specific Quinta. Single Quinta Vintage Port is Port coming from a specific Quinta and made from a single specific harvest. Colheita is essentially a Tawny Port but made from a single specific harvest, unlike the Tawny which is a blend of several different years. The year of harvest will be stated on the label along with the year of bottling and a statement that the wine has been given extended ageing in wood. Colheitas are aged in the barrel for a minimum of seven years. Garrafeira - These 'reserve' ports have a long tradition but are rare today. They are from a single vintage, aged a short time in cask and then aged in 5-10 liter glass demijohns for 20, 30 or 40 years from which they are decanted into 750 ml. bottles. White Ports - Made from white grapes, mostly Malvasia. Usually served chilled as an aperitif, often with a twist of citrus fruit and/or a splash of tonic. A few see some wood aging. Dating from the 1500s, the ruins of the Casa de Covela bear witness to the centuries-old agricultural and cultural importance of the estate. After a period of neglect, Quinta de Covela was purchased in 2011 and brought back to life by two impassioned wine lovers, one from Brazil and one from England. The latter, Tony Smith, was there and orchestrated our visit. Mindful of the prestige the Covela wines enjoyed for years among connoisseurs, the partners decided to rebuild the estate’s old team, starting with enologist Rui Cunha, who had been involved in the original Covela project since 1992 and was head winemaker from 1998 onward. We started with a wine tasting in the cellar. We then had a wonderful dinner with Tony Smith and Rui Cunha, with more wine tasting. In addition to the estate's main house and winery, redesigned and extended by the director in the 1950s, Covela today also has three contemporary villas whose geometric lines are the work of José Paulo dos Santos, one of Portugal's most admired contemporary architects. With their stylish interiors, the villas offer sensational views over the vineyards and the Douro valley. Vintage Port: The product of a single harvest, the wine is aged in barrel for between 2 and 3 years and is bottled un-filtered, and needs to be laid down for a considerable number of years so that it can age in bottle. After ageing in bottle Vintage Port develops into a very big wine. Because they are aged in barrels for only a short time, they retain their dark ruby color and fresh fruit flavors. Vintage Port is only made when the harvest is exceptional - about 3 times a decade. While it is by far the most renowned type of port, vintage port actually makes up only a small percentage of production. We tasted 4 vintage ports (2011). We had a superb lunch with the 4 Port producers, in the cellar of Quinta da Boavista. Following the tasting, we moved to the dining room of Casa Morgadio da Calcada and had a wonderful dinner there. Owned by Sogrape - the biggest Portuguese producer – Quinta da Leda belongs to Casa Ferreirinha, the winery with the greatest historical weight in the Douro, as well as being one of the most dynamic. We had a memorable lunch, right in the middle of the wine cellar of Quinta da Leda, with the fermentation tanks hanging over us. Luis Sottomayor entered the Sogrape winemaker team in 1989. Today, he heads the Œnology team for Casa Ferreirinha and all Sogrape Port Wine brands, a responsibility he assumed in January 2003.